Which is the right platform for your online store? We have found several but Magento and WordPress are most preferred by organisations. Find out why. WordPress has a larger and more famous content management system. It was developed for blogging and non-business sites. WordPress does not have the capability for internet shopping but it can be done through third party plugins. Therefore, it can be used for small online marketers or for advertising products or services through blogs or websites rich in content. But for business owners who are into serious online business ventures, Magento system is ideal. 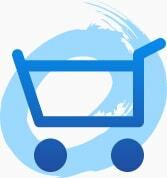 From its “tip-to-bottom” framework, it is developed for online shops with better control systems. How to determine the right ecommerce platform for your business? Although WordPress is known for its several plugins, not all of its plugins are designed for online stores. Starting an ecommerce store is easy and simple, unless you do it the right way during its initial stages. Choosing the wrong ecommerce store in Australia will result to headaches especially for posting of your products and payment processing. Creativ Digital is a Sydney-based company that has assisted many businesses, organisations, and even universities by creating high quality websites, establishing ecommerce stores, and provides professional advices that are beneficial for your online business ventures. For free consultation, you can send us email or contact us through 1 300 055 867 and see how we can help you.